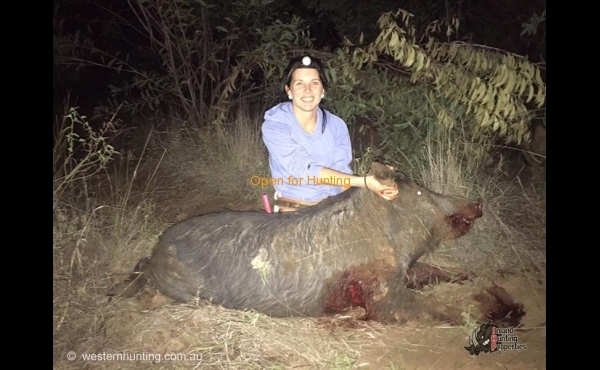 Injune 1 is a 17,000-acre flat to undulating property offering hunting of pigs and ducks – especially around lake and river areas. Shooting, rifle, pistol, cross bow, buggy’s, quads, and spotlighting allowed. Dogs are not allowed. 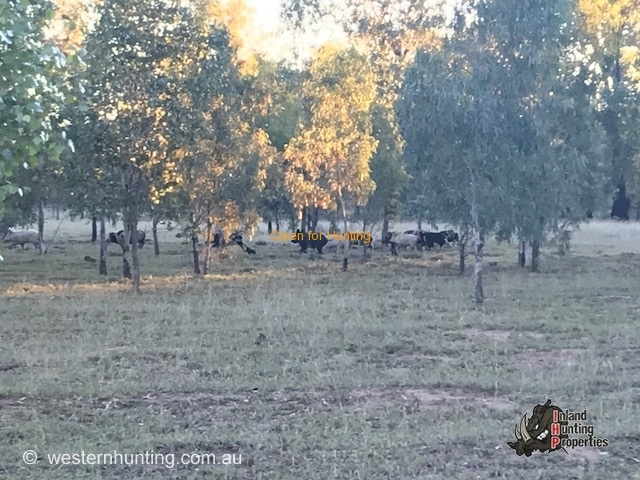 You do not need a 4WD to get to the property, nor is one necessary to get around the property. Internal roads are well maintained. Cottage accommodation that sleeps 7 is available. Own food and toiletries will need to be brought. No need to bring firewood – plenty to collect. You can sight your firearms and target shoot away from main roads and grazing cattle, of course observing all safety precautions. Property dissected by Lake Nuga Nuga and the Brown River. The terrain is flat to undulating with slight hills (not steep). Some Melon Hole country with a lot previously blade ploughed. Temps are variable, ranging from a min low of 3 degrees to max high of 34 degrees. Average rainfall is about 28inches. A 3-bedroom old style but liveable cottage is available complete with washing machine, fridge, electric frypan, cups, cutlery, and plates. (Limited quantity). There are 3 single beds and 2 double beds. This property can be booked all year. Generally, the best time to arrive at the property is between 9am - 2pm and leaving before 5pm. Rules on the property are simple – follow and read the conditions for property access book. Common Sense – Don't shoot pets. Obviously, no shooting or disturbing of cattle. Leave gates as you find them. No shooting within 1km of highway or around housing. Hunt respectfully. Take all rubbish with you to the designated area. Obey any fire restrictions especially total fire bans. Vehicles to be parthenium weed free please! Property uses UHF channel 25. 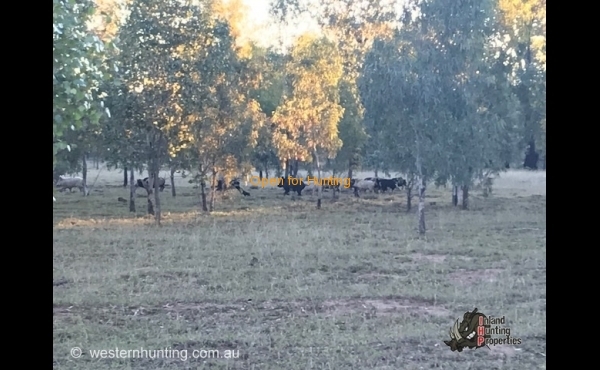 Injune 1 is a grazing enterprise located on single freehold title within the Arcadia Valley, split by Lake Nuga Nuga/ the Brown River within Central QLD. It can be accessed internally across Lake Nuga Nuga when the high water recedes after summer. Land types generally comprise heavy brigalow softwood scrub and has been developed to approx. 200 hectares Leucaena and improved grasses. Stock waters are a combination of river water, lake, bores, and earthen dams. 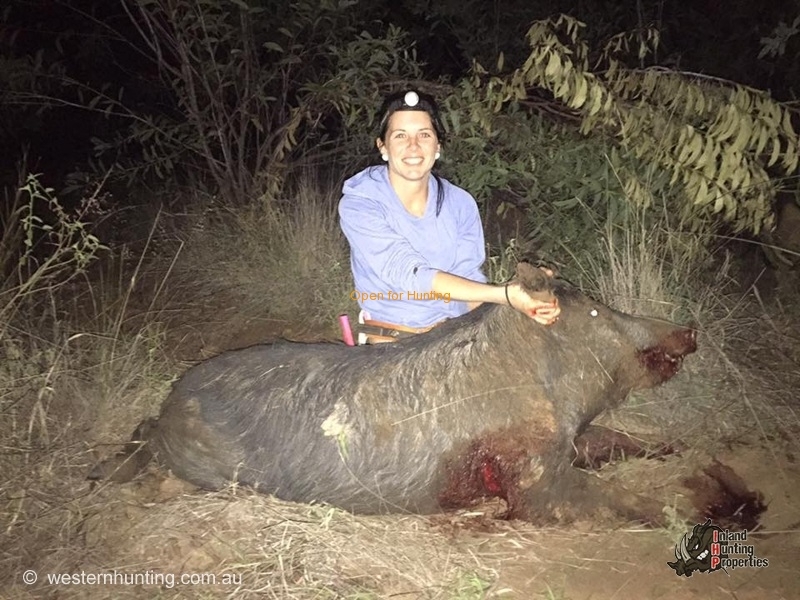 As the wild pig population continues to grow in Central QLD, this property provides options to hunt the boars coming out of the National Park onto the Lake. 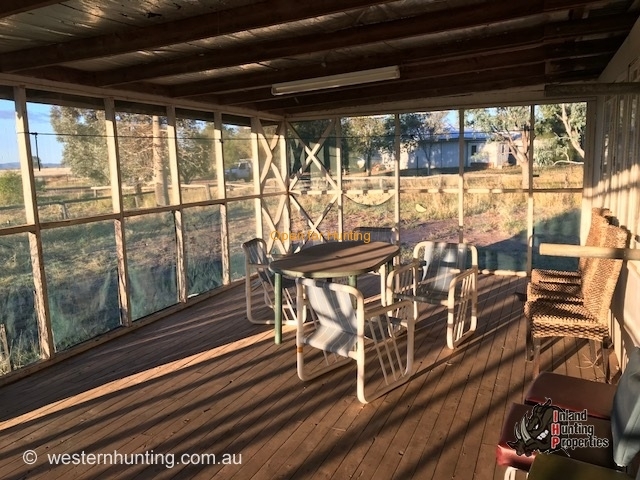 Hunters appreciate the easy access off the main road of this property. Arcadia Valley has long been renowned for its soils and reliable rainfall, consistently producing prime livestock. When families visit they enjoy walking, kayaking, and fishing in the adjoining Nuga Nuga National Park. 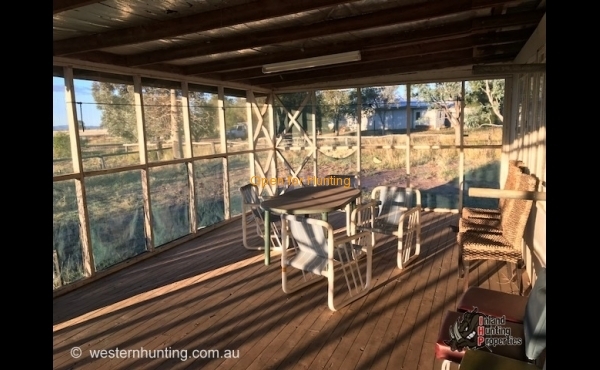 The property is 200kms from Roma, 225kms from Emerald, and 330kms from Rockhampton. The townships of Rolleston and Injune provide a limited range of facilities. Rolleston features a general store, hotel, agriculture supplies and fuel store. Injune features a Foodstore, hotel, hospital, agriculture store, service station and IOR Fuel Facilities Card. Some stores are usually open 7am-7pm with 24hr card facilities and the hotels are around 10am-10pm. BRINGING BIKES, BUGGY's or QUADS/ATVs? Risk assessments must be taken for potential hazards whilst using any bikes, quads/ATV or buggy's on the property. Some properties only allow certain types of vehicles. Please check listing carefully. Helmet and protective gear to be worn whenever operating these vehicles. We recommend the Yassi Course or some form of accredited training be taken prior to using any bikes, quads/ATV or buggy’s on the property. Bikes, buggy’s and Quads/ATV are to be taken onto properties entirely at your own risk. No responsibility will be taken. Assess your own insurance for these recreational vehicles. 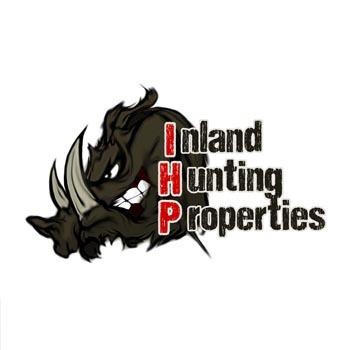 You release and indemnify IHP and all related parties against any claim of any kind whatsoever. If in doubt or you do not agree to or understand these terms, do not bring and or ride bikes, buggy's or quad/ATV.